"‘Leadership means having the self-confidence to believe you can make a difference, the passion to believe it matters, and the courage to risk it all because you believe it matters." There is no limitation to what we can achieve. Being the head girl isn’t about being better than anyone else, but its about winning the trust of the student body and to organize and represent them with honestly and enthusiasm. This school has guided me to be mature and has taught me to be the better than yesterday. The amount of affection I have for this institute and the people is beyond words. The honor and responsibility that I have received has been something I had been dreaming about since I was a child. I remember looking up to all the past leaders before me who have done so much for the school and I look forward to do the same. Now I believe that leadership is not about position but about action. Along with my team of council members I am looking forward to have a year full of enthusiasm and positivity. Let’s take our school to greater heights of success. We will travel this road together and work in union to keep Loreto’s Banner flying high up in the sky, mounted with love, hoisted with dignity and fluttering with grace. On behalf of the student council I would like to thank our Principal, teachers and students who have always believed in us and our abilities to lead the school. To be appointed as the head girl of Loreto Convent Tara Hall is definitely a blessing as well as a great honour. For me it brought both a sense of pride and responsibility and to be given this opportunity to serve the school fills my heart with utmost elation and affection. I have been in Loreto Convent Tara Hall for more than 13 years and this school has given me everything one could ask for. I have witnessed it all- from the immense support and guidance of teachers and sisters to the care and concern of friends and classmates, from the compassion and kindness of helpers to the love of my juniors. LCTH has given us all. With the help of value education Loreto creates young women who are not only capable of solving every problem, but have the power to heal wounds and scars through their kindness, empathy and love. My message to the present generation is that the future depends on what you do today, learn from yesterday and live for today. Be what you want to be and not what others want you to be .As Mahatma Gandhi rightly said. “Be the change that you wish to see in the world.” Therefore, we the council members of session 2018-2019 promise to uphold the ideals and traditions of Loreto, to stand up to all the expectations and fulfill our duties with complete dedication. The entire student council will continuously help each member of the school in every possible way to realize their true potential. We as leaders are not just to lead but work in collaboration with each other and to achieve the best for our school. We promise to work hard with all our zeal, devotion and determination. We will try our best and work persistently for the excellence of our school. As the Head girl of Loreto Convent Tara Hall I would sincerely want to thank God for this responsibility bestowed on me. Discipline, Sincerity, kindness and integrity are the pillars on which my ideals. I would like to thank Sr. Stephanie for believing in me and the teachers for moulding me in such a fine manner. 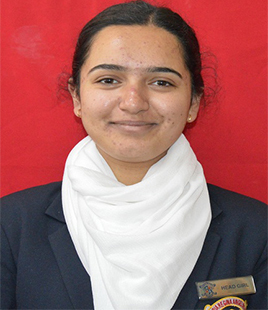 It is clearly evident that the school has not only helped us develop academically but has succeeded in making us compassionate, caring and articulate young girls who will hold on to the Mary ward motto-‘ Women in to come will do much!’ As the head of the student cabinet for the year 2017-18 I promise to work hand in hand with the fellow members and live up to the expectations at the same time hold to the values of the Loreto family. When you begin to think of yourself as having achieved something then there is nothing left for you to work towards. I want to believe that there is a mountain so high that I will strive to reach the top of it. Leadership is all about making others better as a result of your presence and making sure that the impact lasts in your absence. All I want is not to achieve alone but together. With the support of the students I can achieve what I strive for and along with my team I believe that we can achieve great things in the course of our leadership. When you begin to think of yourself as having achieved something then there is nothing left for you to work towards. I want to believe that there is a mountain so high that I will strive to reach the top of it. 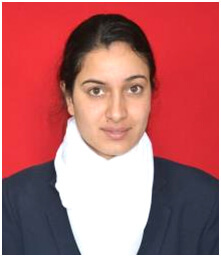 Alisha Malhotra The first responsibility of a leader is to define reality; the last is to say thank you. In between the leader is a servant. We the School Cabinet 2015-16 promise to do complete justice to our responsibilities & rise above your expectations. When you commit yourself in selfless service, resources are provided to you by the divine effortlessly & we have thoroughly committed ourselves to serve our school. A leader.…a leader takes you where you want to be but a woman leader takes you where you ought to be & we all are highly grateful to our school for making us leaders today & preparing us to lead tomorrow. As school leaders we promise to work with clarity of mind, purity in heart & dynamism in action. We promise to serve the school whole-heartedly! Kritima BhaptaThe role of a true leader is to recognise the future and to secure it. 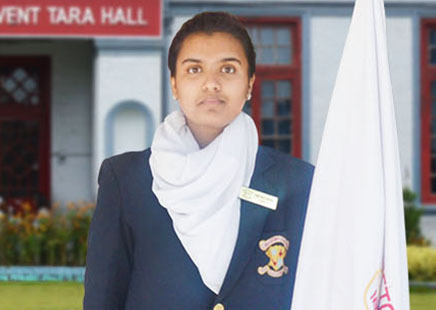 A great leader’s courage to fulfil his vision comes from passion and as the Head Girl of the school, I believe that I will be able to turn my vision into reality. I feel blessed to have been appointed as the ‘Head Girl’ of the school. This school has helped me to grow as an individual and therefore I genuinely feel that I should do something for it so that next year when I leave, I leave with a sense of satisfaction for doing something worthwhile for it. My team and I have many plans that we wish to achieve during the year. We want this school to grow as much as it can and for this we need to surge forward with dedication and passion. Together as a team we will accomplish great things and will take the school to a higher pedestal. A leader is one whose courage to fulfill his vision comes from passion not position. To be appointed as the Head Girl of this prestigious institution twice is definitely a blessing as well as a great honour. I would like to leave behind a legacy of values and traditions and be a person who has her own ethics and abides by them no matter what, is unbiased and is always there to lead the school as a whole through obstacles to progress and development. We all simply love our school and to be given the opportunity to serve the school fills our hearts with utmost joy. The world suffers a lot; Not because of the violence of the bad people, but because of the silence of good people. I request my fellow students and council members to forever bear the school spirit of being a Loreoite in their hearts and strive to bring laurels to the school and make our alma mater proud. The school crest should be our identity and following the resolute rules a matter of pride. My fellow council members, to you I say, ‘Let’s place school before self and come together in a cohesive manner, binding everyone in unity.’ We can complain because rose bushes have thorns or rejoice because thorn bushes have roses.